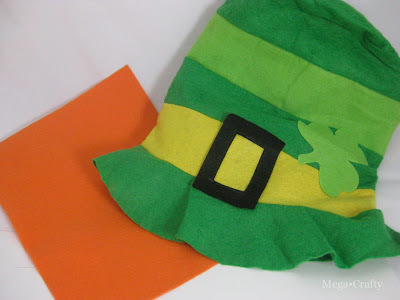 Mega•Crafty: Adding a beard to a leprechaun hat is super easy! 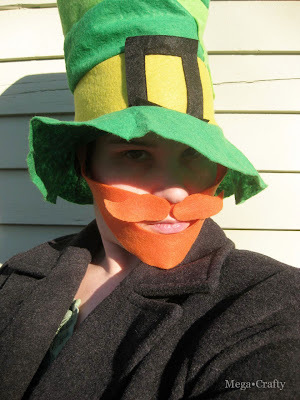 Adding a beard to a leprechaun hat is super easy! 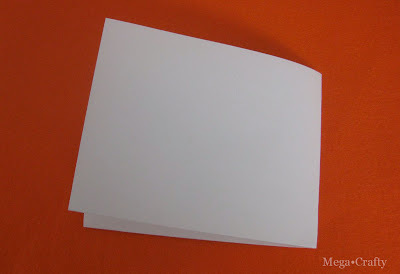 Now cut the the paper to this approximate shape. 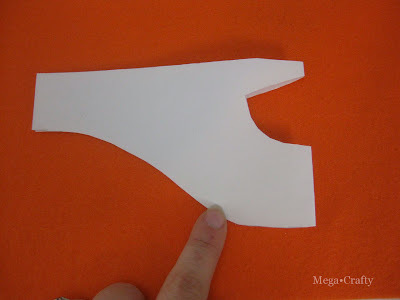 Here I've shown the parts I cut away on the bottom and the tiny sliver on top to give you a good idea about the shape. 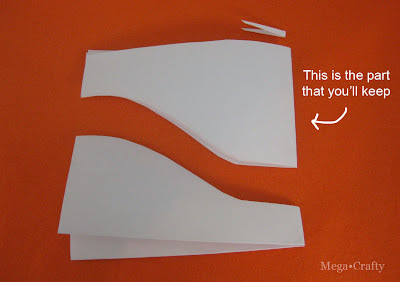 You'll end up with two pieces but you'll only need one to trace. 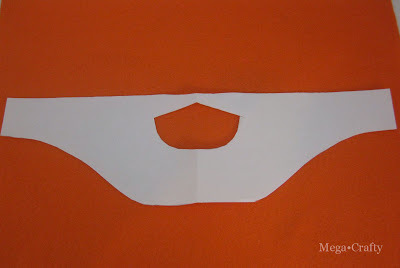 Next cut out an area for your mouth from the center of the beard (folded edge). And also a mustache shape. 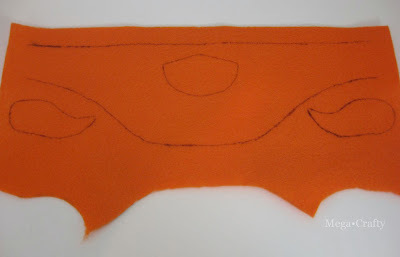 These pieces will be the templates that are traced onto the felt. 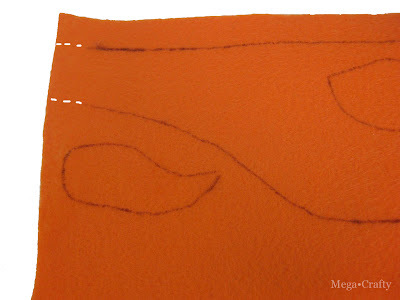 I also extended the beard so that it was as long as the felt (which was longer than the paper pattern) to give myself extra for stitching onto the hat at the end. 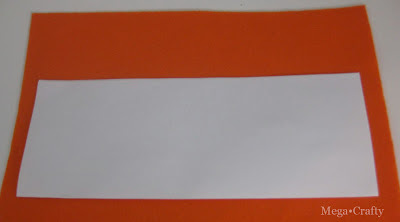 I traced in pen so it was easy to see but you should use something lighter like a pencil or an orange marker so the lines disappear. 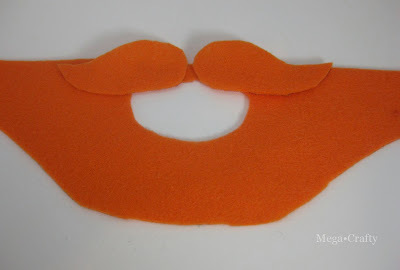 Now that you have your felt cut use a little dab of felt glue to attache the mustache pieces onto the beard. 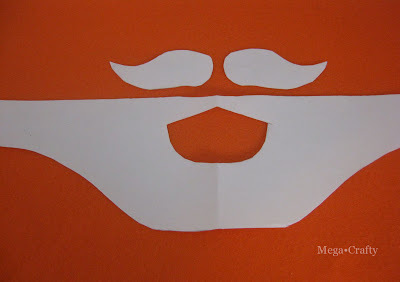 Be sure to glue this so that any trace lines that weren't cut away on both the mustache and the beard face the back. 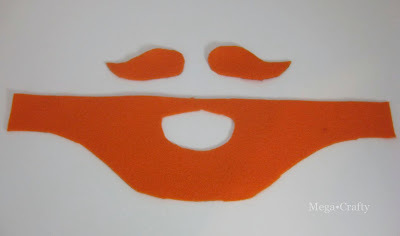 The final step is to attach the beard to your hat. A few stitches on the sides of the beard and hat together do trick. And you have a perfect leprechaun disguise for a St. Patricks day parade! One last tip to figure out the best placement of the beard... hold it against your face while wearing the hat and place two pieces of tape onto the hat to mark the placement.